TODOS, a Sri Lanka brand has made a mark in the global market. 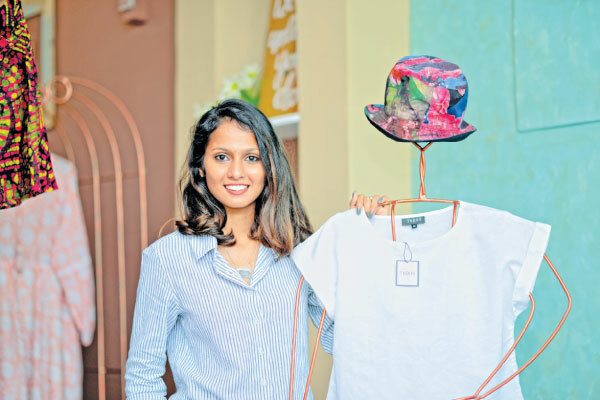 The brains and talent behind the brand is Thushani Rodrigo, having discovered her passion for Fashion, took her first step towards carving out a career for herself at the age of 13, whilst she was still a student at Althea International School. Having commenced sewing classes early in her life she pursued on her diploma in Scientific Dressmaking at the Singer Fashion Academy, where she successfully completed it by the age of 15. She then went on take the stage at the Singer Fashion Show and her success was testified when she bagged the CATS Award for the best category in evening wear for two consecutive years. Being just 16 years old and armed with her awards, Thushani never looked back. Word spread of her creative work and intricate sewing with attention to detail. Believing she needed to put a brand name to her work, led to the TODOS brand being born. TODOS incidentally a Spanish word means “everything”, which Thushani says epitomizes what she delivers, a making clothes that breaks borders to fulfill a clothing dream of a customer. With orders flowing in, Thushani started building her own skilled team by giving a opportunities to youth like herself to join in her path of growth. Thushani then expanded her reach to public through Good Market and subsequently started producing to a niche designer overseas and a few known brands in Sri Lanka. Today Thushani with her team of people have setup a fully-fledged fashion design and a production house comprising of a development team a cutting department, sample room, quality control and production team. Thushani was recognized for her efforts by Women in Management (WIN) in 2014, winning the entrepreneurship award for the small category and the bronze award for the small category in Entrepreneurship presented by WCIC for 2017. Tuscany’s future plan is to establish TODOS as a bespoke clothing brand in Sri Lanka.